A summer school in October, isn’t that a bit late? 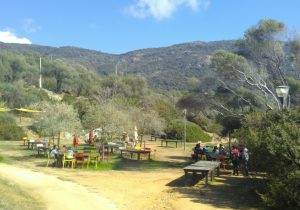 Well, not if it is held in Cargèse, a small town at the coast of Corsica! 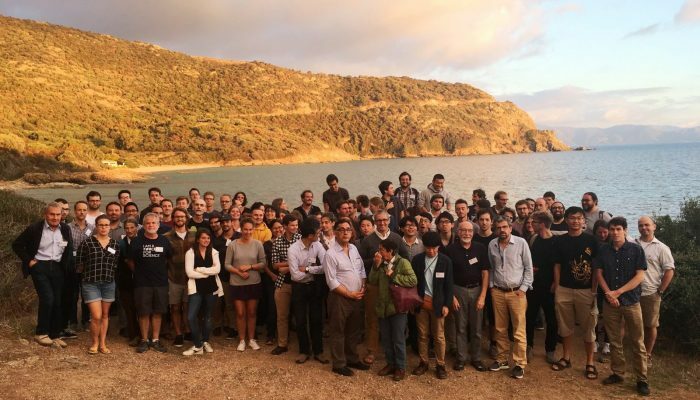 After a successful first edition in 2014, scientists from all over the world gathered again last week at the beautifully located ‘Institut d’Etudes Scientifique’ in Cargèse, to learn, share, discuss, agree and sometimes disagree about all facets of earthquakes. The scientific program of the course was built around several keynote lectures per day, given by well-known scientists in these disciplines like Satoshi Ide, Chris Marone, Bill Elsworth, Gregory Beroza, Shamita Das and many more. In order to give the participants of the course the opportunity to share their own work as well, the keynote lectures were alternated with short talks and poster sessions. Topics like earthquake nucleation, triggering, rupture propagation, rate and state friction laws, induced seismicity and the wide range of ‘slow earthquakes’ were discussed. Due to the various backgrounds of both the participants and the keynote speakers, many different scales and aspects of these processes were addressed: from seismological observations to laboratory earthquakes, and from microfractures to the subduction megathrusts. Bridging the gaps between these different disciplines and scaling from the laboratory scale to the natural cases is a big challenge. Therefore, frequent interaction between the communities helps us to move forward together and better understand the intriguing processes behind earthquakes. 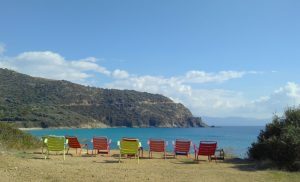 And what better way to have this interaction in a beautiful and inspiring place like the Corsican coast? Fortunately, many of the participants remembered to bring their swimming gear so that they could go swimming during the long and lazy lunch breaks. 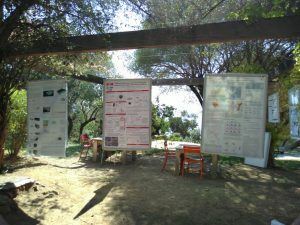 Others would continue discussing at the posters or join the optional early afternoon sessions, which varied from software tutorial sessions to informal discussions about earthquake early warning systems and how to implement them. The small scale of the course, combined with the relaxed and informal atmosphere throughout the whole week made it a very successful event, almost like a scientific retreat! And the good news for the people who missed it: word is getting around that there might be a third edition of the course within a few years! Elenora van Rijsingen is a PhD student part of the ITN Marie Curie project ‘CREEP’. Her project is a joint venture between the university of Roma Tre and the university of Montpellier. For her PhD, she uses the analysis of natural data and analogue modelling to better understand the relationship between the roughness of the subduction interface and the nucleation and propagation of megathrust earthquakes.